Do folks really still fall for the "snipe hunt" gag? The Ninth does here. Judge Bybee creates a new rule -- and a bad one, at that -- for the "emergency" exception to the Fourth Amendment warrant requirement. United States v. Sonny Snipe, __ F.3d __, 2008 WL 216996 (9th Cir. Jan. 28, 2008), decision available here. While Snipe purports to be dictated by a 2006 Supreme Court case, the new Ninth Circuit decision rejects any limitations on a warrant-exception rule that will be quickly abused by law enforcement. Players: Decision by Judge Bybee, joined by Judges Thompson and Kleinfeld. Facts: An unidentified, hysterical man called the cops on a non-emergency line at 5:00 am on New Year’s day. Id. at *1. He said “get the cops now,” to the residence of defendant Snipe’s father. Id. Cops reported, and one of them – who lived down the street – noticed i) a strange car in front of the house, ii) someone he didn’t know entering the house, and iii) lights on inside, though the rest of the block was dark. Id. The cops knocked on the open door, it opened, they went in, and saw a bunch of guys hanging around a table full of drugs. Id. With permission, they looked around. Id. The cops left, got a warrant, returned, found a gun with an obliterated serial number, and charged Snipe. [ed. note: They left the house and went to get a warrant? Only in Idaho – L.A. or S.F. cops would have had everyone in choke holds on entry]. 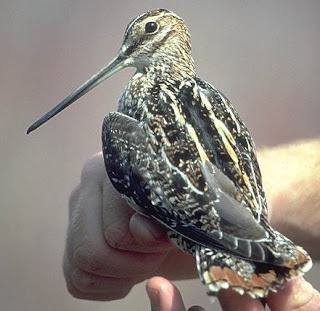 Snipe appealed after a plea. Id. at *2. (Note the government's interesting goof -- this wasn't a conditional plea, but the government forgot to object at the plea and so waived any challenge to appeal). Id. at *2 n.3. Issue(s): “Snipe challenges his conviction on the ground that the district court erroneously denied his suppression motion.” Id. at *2. Held: “[W]e affirm Snipe’s conviction. The officers’ initial entry was justified by exigent circumstances, and their subsequent observations of illegal drugs in plain view provided probable cause for the search warrant that led to their finding the firearm with an obliterated serial number.” Id. at *2. Of Note: This is an important case that changes a longstanding Ninth Circuit rule. The Ninth previously used a three-part test for “emergency entry” cases. See id. at *2 (discussing United States v. Morales Cervantes, 219 F.3d 882, 888 (9th Cir. 2000)). That test – which included a probable cause component – is now gone. (2) the search’s scope and manner were reasonable to meet that need.” Id. at *4. What is not in this new test is any showing of probable cause linking the “emergency” and the location searched, or any confirmation that the emergency call was authentic. Id. at *4-*5. (Remember: the call in this case was anonymous, not made to an emergency line, and had no caller ID). As discussed below, anticipate much abuse of this rule. How to Use: Drug dealers and estranged lovers will love Snipe. Just call the police from a blocked cell number, scream while you anonymously report an “emergency” at your rival dealer’s or ex’s place, then sit back and enjoy the fireworks. There’s no need for any other indicia of reliability that courts annoyingly require for the typical anonymous snitch. Or, to avoid the middleman, a beat cop can “hear” hysterical cries from a suspected drug location and just barge in – the cop’s subjective reason for entering is no longer relevant. See id. at *4 (discussing objectively reasonable basis for search); id. at *3 (discussing Whren). • the cops went and got a warrant before conducting a full search. The new Snipes rule is a “totality of the circumstances” test, and few searches (outside of Idaho) will boast as many facts supporting a “reasonable” entry as Snipes. For Further Reading: For a thoughtful analysis of the objective/subjective Fourth Amendment debate as it was (miserably) played out in Bringham City, see George E. Dix, Subjective “Intent” as a Component of Fourth Amendment Reasonableness, 76 MSLJ 373 (2006).